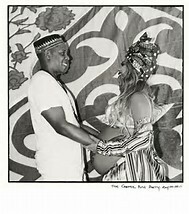 Beyonce and Jay Z have celebrated the impending birth of their twins with a star-studded baby shower. 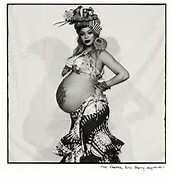 A picture posted on the singer’s Instagram account Sunday shows Beyonce in a bikini top and highlighting her pregnancy with an intricate design painted on her belly. A note on the photos show “The Carter Push Party” took place on Saturday. Jay Z’s real name is Shawn Carter. Beyonce’s mother, Tina Lawson, shared photos and videos from the party on Instagram . Some of the guests at the gathering included Serena Williams, who’s also pregnant, and La La Anthony. Kelly Rowland and Michelle Williams from Beyonce’s days with Destiny’s Child were also in attendance. Beyonce and Jay Z have a 5-year-old daughter, Blue Ivy.